Dirt Everyday is our favorite show, Dirthead Dave is one of my favorite hosts from that show and a good human and a gambler and top 9 Mowverlander ever. Oh man, we got political kinda but unfortunately didn't pick either side so everybody will hate it but sorry not sorry, we then talk iconic TV cars and the Michael Richards charity event March 24th at the Corner Saloon. It's a Poker Run where you can win cars and 100% of proceeds to MR8. Foul language warning. The Brown Liquor Podcast: Gambler 500 ep 17 "events"
Run down of what's happening this year. Gambler crew chats movies and the cars that defined them. Minibikes, vegas and bird hunting. We talk regional Gamblers, trivia, Sheetrock and pistols. Honoring William, Sturgis and swag. 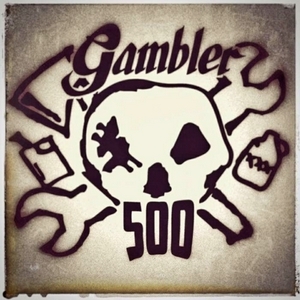 Recap of the 2018 Gambler 500, with Chuck Brazer, Andy Munson and Kyle Munson.